I want these shoes; I want these shoes; I want these shoes. Felicia Day posted a link on Twitter for a D&D shoe design competition. 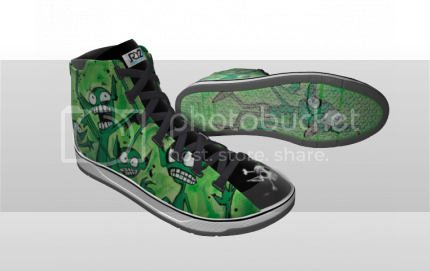 I don't know if these shoes actually exist, but I want them. Those are indeed fantabulous chucks. i would totally be willing to go down three sizes if it meant wearing these! my toes would gladly suffer! Those shoes rock socks! lol. Literally this time. =D They are definitely you. I can totally see you wearing these.